Is 'Dayton 2 Daytona' Dead? 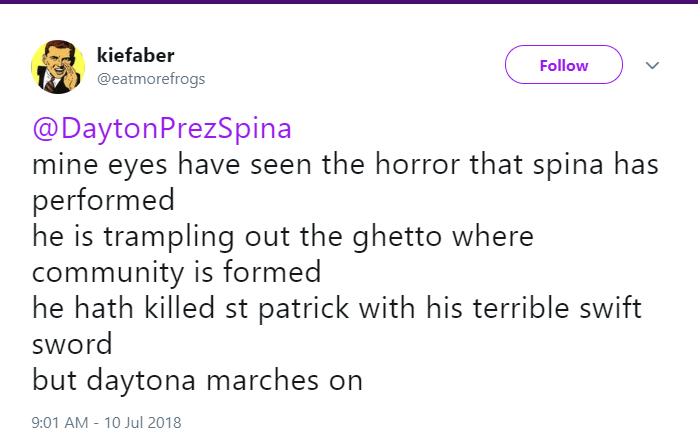 Spina may have killed St. Patrick's Day, but Daytona lives on! Since coming to the University of Dayton (UD) in 2017, President Eric Spina has brought with him many changes. In the wake of the 2018 St. Patty's Day celebration, President Spina sent an email expressing how he was "deeply disappointed in the behavior of many of [the students]" and made a schedule change of the 2019 spring break to extend over St. Patrick's Day. 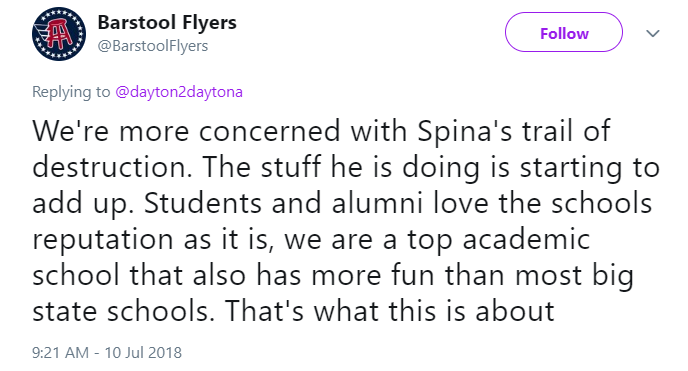 The start of Spina's 3rd year at UD has brought another significant change with the announcement on July 10 that UD will be cutting ties with the Dayton 2 Daytona trip. Since 1977, Dayton 2 Daytona (D2D) has been an annual UD tradition for upperclassmen to kick off their summers with a vacation to Daytona Beach, Florida. Approximately 2,000 students make the pilgrimage each year to celebrate with a week of pool parties, pig roasts, club events, and even concerts (this year's line-up included Shaggy). 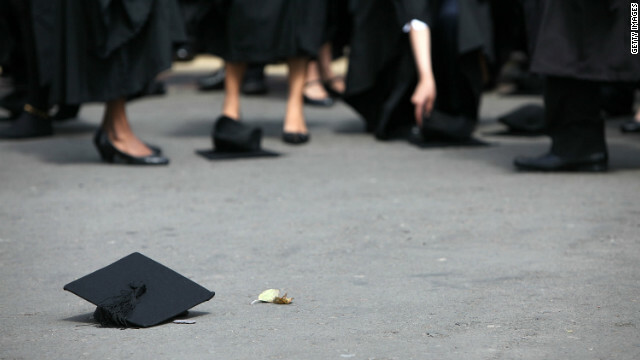 For many students and alumni, D2D has been some of their fondest memories. According to an email sent by President Spina, UD will be cutting ties with D2D in terms of how "the University will no longer provide logistical or staff support". Spina explains that this decision was made because D2D activities (i.e. the drinking and partying) is a safety risk and "does not advance the University's Catholic, Marianist educational mission." He also claims that D2D activities "could have a negative impact on the value of your UD degree and our University's reputation." This announcement has sparked a lot of outrage and controversy, with many students and alumni turning to social media to express their opinions. In light of his decision to move spring break to conflict with St. Patty's Day, this decision is seen as another step by Spina to "take the party culture away from Dayton". Some have taken to calling him "Spineless Spina" and believe that this is his way of trying to sneakily terminate UD's 'ghetto' or student neighborhood porch culture. "We're sad to share the unfortunate news that the University is dropping their affiliation with Dayton to Daytona. Do not be discouraged by the news, we are determined to make next year's trip better than the last so stay tuned for more details to come. # GetMeToThePoolDeck"
So although UD has cut ties, D2D is NOT canceled and is still going to continue to be an event, just not affiliated with the university. D2D shall live on! According to Student Government Association (SGA) president Bryan Borodkin, "In regards to restrictions, it's going to change. I can't tell you what that will look like. I also have not been yet myself, so I am not very familiar with those restrictions. But the restrictions put in place by UD administration and SGA will no longer apply. However, the current tour company may choose to keep or put some restrictions in place." It seems to me that the potential lack of restrictions would be something that the students wanting to keep the party culture at UD alive would not be angry about. Bryan believes that some of the most noticeable changes will include the lack of D2D advertising on campus and D2D events like Halfway to Daytona. 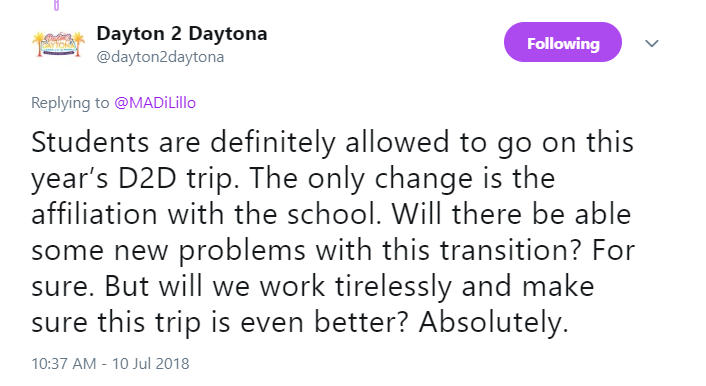 Most importantly, it sounds like the name, actual experience, and cost of D2D will still stay the same although students will have to work through Campus Vacations. Bryan also wants UD students and alumni to understand that "this has nothing to do with St. Patrick's Day and that the administration has been talking about this beforehand." One of the main issues seems to be that, unlike St. Patrick's Day events, this announcement did not seem to have any event that provoked this change. In an email sent on July 11, SGA stated that "the intention is to keep D2D for UD students, by UD students." So the trip will now be coordinated by UD students and Campus Vacations. Although SGA will not have any involvement, the email does encourage concerned students to reach out to Bryan or Drew Smith and George Sechrist, who will be working with the tour company to coordinate this year's D2D. Overall, this seems to be a strategic move by Spina and the university to distance UD from the party culture associated with UD and with D2D. The future of D2D seems to be still unknown, but there is the potential for many positives to come from this change. This may be the end of an era, but definitely not the end for D2D and for UD student culture. All I can say is, we will just have to wait and see. I hope to see you next year on the pool deck! Go Flyers!